Since you’re practically using your pillow every night, it’s best to make sure it’s clean. It’s important to know all about your pillow before cleaning it though. So check the content and care label to figure out what’s inside, and use this guide and learn how best to clean your pillow. Well the good news is you can just toss these pillows in your washer. It is recommend to launder two at a time, to keep the washer balanced, and using a front- or top-loading machine without an agitator. If your pillow has a care label, read it and follow the directions. If it not use warm water and opt for the gentle cycle, then add on an extra cold water rinse and spin cycle. Tumble the pillows dry on low heat, fluffing and turning them often. This is another machine-friendly filler, just make sure there are no slits or tears in the pillow cover. For balance, load two pillows at a time and use only a small amount of detergent. Set the machine on the delicate cycle and give the pillows a second rinse. For drying, place them in the machine with several clean tennis balls, which will aid in the fluffing process. It’s also a good idea to take them out periodically and fluff by hand, using your fingers to break up any clumps. Pillows will take longer to dry than a normal load of clothes. If they have a musty smell, set them in the sun for a couple of hours. Unfortunately, you can’t put these pillows in the washing machine. You can wash the removable cover is there is one that according to the care instructions on the tag. 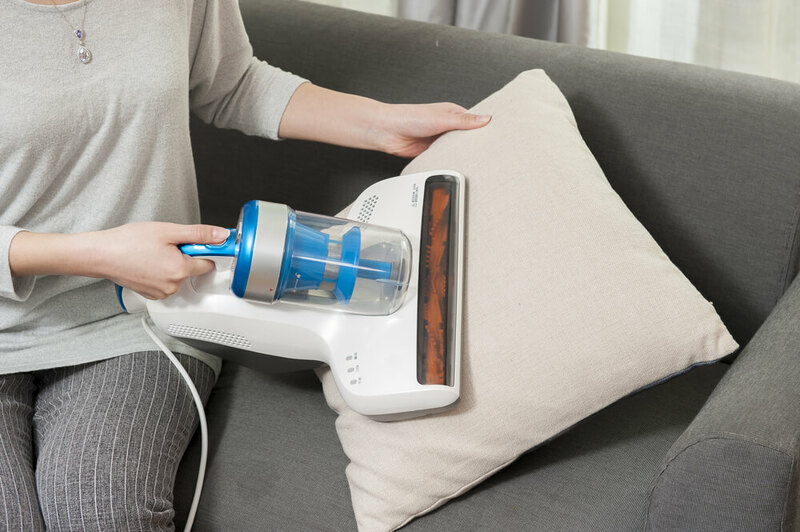 To remove dust from a foam pillow, vacuum both sides with the upholstery tool. If possible, dial down the suction level to make the job a bit easier to do. Another way to go about it is to tumble the pillow in the dryer on the no heat or air-only cycle for 20 minutes. Spot clean any soiled areas with a cloth dipped in a mild sudsy soap solution and rinse with a damp cloth. Allow the pillow to air dry completely before putting it back on the bed. Some foam pillows include instructions for hand washing. If you choose to follow them, be very gentle. Wet foam is heavy and tears easily. There comes a time, when you need to know when to replace your pillow. No matter how diligent you are about cleaning your pillows, you’ll need to buy new ones eventually. But how do you know when it’s time has come? A good way to check is, if you fold the pillow in half and it doesn’t spring back into shape. To help pillows stay cleaner for longer, use liners under your pillowcases and wash them monthly.